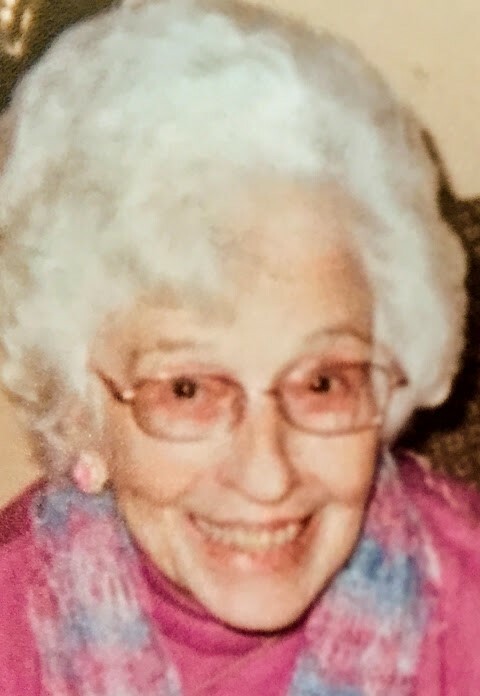 TEMPLETON - Virginia G. Hamilton, 97, of South Yarmouth, formerly of Baldwinville and of Shrewsbury, MA, died peacefully Saturday, January 19, 2019 in Windsor Rehabilitation and Nursing Home, South Yarmouth. She was born July 27, 1921 in Black Oak Ridge, Tennessee, and as the daughter of a Methodist Minister, resided in several east Tennessee towns, ultimately living several years in Knoxville. After graduating from Karns High School, she took business courses and worked briefly as a bookkeeper. In World War Two, she was a Red Cross volunteer worker, meeting troop trains in Knoxville. After marriage, she lived in New York, Ohio, Pennsylvania, Massachusetts, South Carolina, New Hampshire and Alabama, before returning to Massachusetts. Her interests included baking, cake decorating, gardening, sewing and flower arranging. Her faith was very important and she used her love of butterflies to explain her new birth in Christ. She felt blessed having lived in many places and always found friends and good experiences wherever she lived. Virginia was predeceased in death by her husband of 58 years, Tully Jackson Hamilton; brothers, S. Ray and C. Edwin Graves; sisters, Clonelle Jones and Nancy Sellers and a nephew Barney Sellers. She is survived by her son Edwin Hamilton, former daughter in law Janet Hamilton; grandchildren Lisa Spurrier, Karen Bartolomei, Christine Hamilton, James Hamilton, Amy Shanahan and Deana Hamilton; fifteen great grandchildren, one great great grandson; four nieces, Becky Shaw, Katherine Springfield, Beth Davis and Lisa Throop, and two nephews, Ronnie and Louis Miller. Funeral services will be held Friday, January 25, 2019 at 10 A.M. in Stone-Ladeau Funeral Home, 343 Central Street, Winchendon. Burial will follow in Greenlawn Cemetery, Baldwinville. Calling hours in the funeral home are Thursday, January 24, 2019 from 5 to 7 P.M.
Memorial contributions may be made to Dublin Christian Academy, 106 Page Road, Dublin, NH 03444.